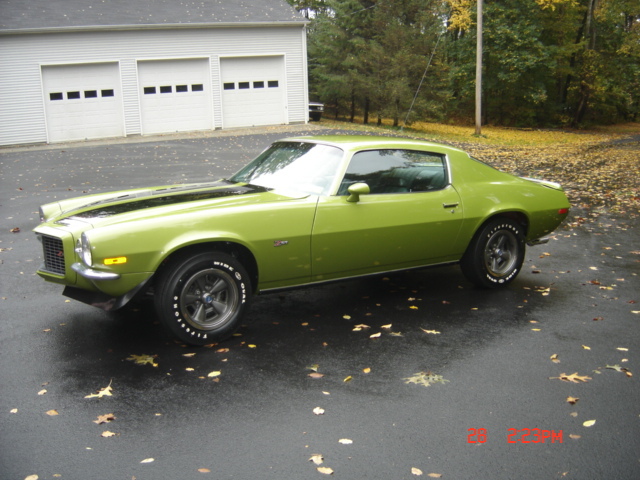 "1970 Camaro RS / Z28"
"Yes" it's a totally numbers matching RS / Z28 * The original numbers matching "Solid Lifter" LT-1 350/360hp engine was professionally rebuilt by none other then Ralph Brassy - one of the top engine builders in the Northeast. 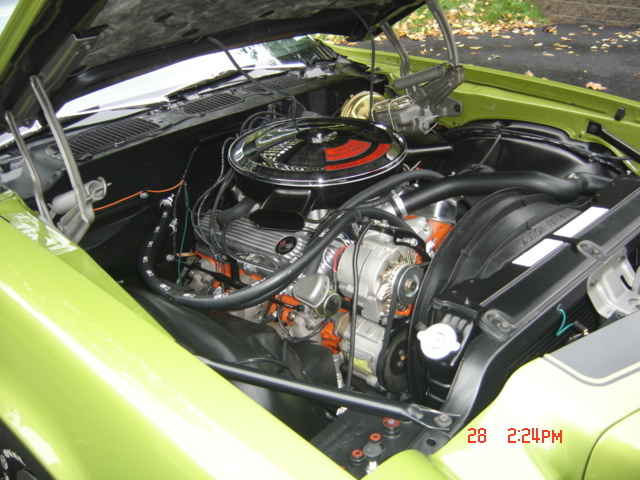 "Yes" this car has all the correct smog equipment - correct date coded Holley carburetor sitting on top of the original Winters aluminum intake manifold * Manual steering & Power disc brakes. The original & very rare numbers matching small block M22 four speed transmission was also professionally rebuilt. Even the original numbers matching COO code 4.10 Limited-Slip rear end was treated to a complete overhaul. 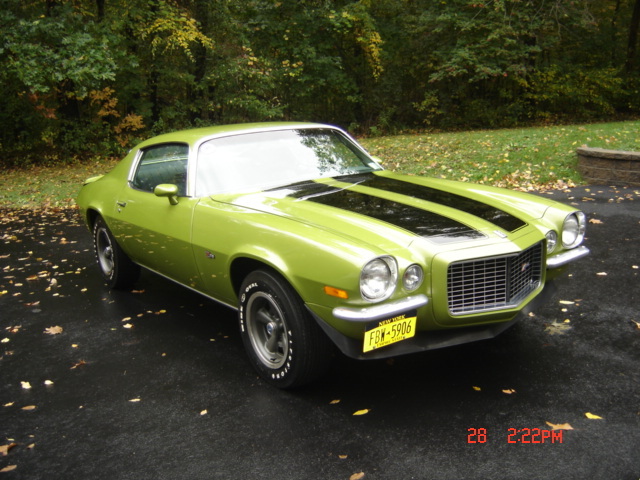 Some old timers may remember that the new for 1970 Camaro's came in late & weren't available until Feb 70 & that a Citrus Green RS / Z28 was used as GM's Poster Car - same as what you see here * True example of GM Muscle Car Heritage. 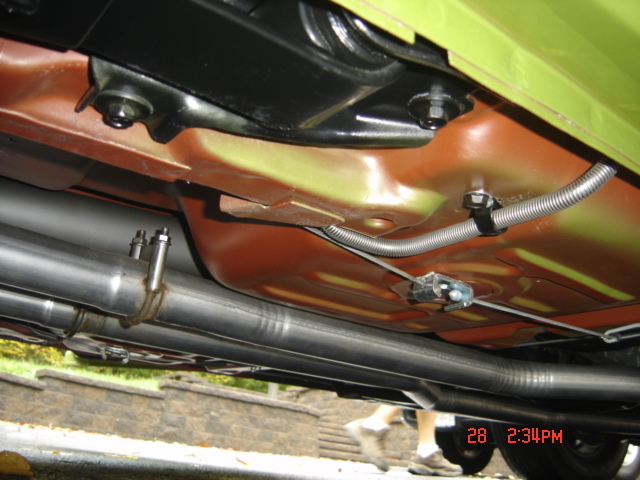 I could go on about this RS / Z28 for hours because there's just way,way too much to list * It belonged to a very close personal friend of mine for over 40 years & I personally witnessed every stage of it's 3 year restoration "No bolt unturned"
There is well over 70,000 dollars invested - 40,000 in just the body alone & "Yes" all receipts to back up this claim go with it's sale. Over 50 photos are available for your viewing & "Yes" personal & qualified 3rd party inspections are "More" then welcome by appointment. Contact Dan direct at 845-546-5523 up to 9pm EST. 845-546-5523 Up To 9pm EST.